Trump tax reform adjusting the US tax system is sadly not the end for the obligation of Americans living abroad to file their US taxes. What is the Trump tax reform? What is this Trump tax reform? It is an effort to enact an US tax reform to develop a competitive tax system and improve economic opportunities in the United States. The Trump tax reform is now entering a vital phase. 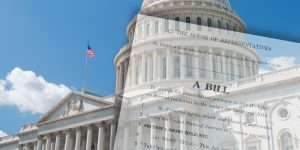 The US Senate and Congress have continued to make progress in approving this major reform. They are only a few steps away to overhaul the current US tax code. Once an agreement is reached at both level of Chambers, the Congress and Senate must vote to pass a final bill. 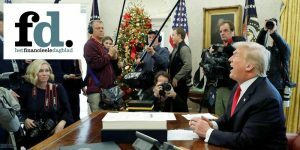 President Donald Trump has said he wants the US tax reform on his desk by Christmas. 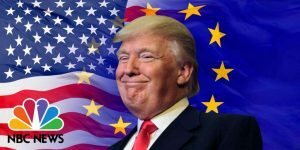 The Trump tax reform will still impact individual taxpayers living and working abroad: US citizens will still be taxed on their worldwide income. The U.S. is the only developed country in the world that enforces a tax duty on citizenship rather than whether the American citizen lives or works in the country. This implies that every US citizen (also those with dual nationality) wherever they are born or where they are currently based or work, has to file US taxes yearly. This includes US nationals with and without passport, green card holders and others. 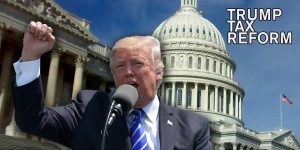 More information about Trump tax reform? Need more information about the US tax reform and the impact for Americans living abroad? Contact Americans Overseas, we help Americans living abroad to become US tax compliant in an organised way and avoid unnecessary double taxation. Based on your personal situation, we introduce you to the appropriate US tax advisor in our network. They will make you a tailor-made offer to help with your tax filings. Free of charge and free of any obligations. It is important to note that the tax treaties that the United States has with: Canada, Sweden, France, Denmark and the Netherlands have provisions providing that these countries are NOT expected to assist the United States in collecting U.S. taxes on their (Canadian, Swedish, Denmark, French, Dutch) citizens. A very high percentage of so called “U.S. citizens” living in these five countries are also citizens of that country. Although these treaties do NOT cancel U.S. tax debts, they (from a practical perspective) make the enforcement of these tax debts more difficult.